I guess I’d start with the most generic advice: learn how to code. The market is tough for journalists in general, but the exception is if you also know how to code. The other thing I realized is that getting the sense for what the metabolism for a journalistic office is is very important. If you really want to get into journalism then look for an internship in a newsroom. It’ll pay less, but you’ll have a lot of different experiences which will be very important. We also have a couple positions open too: we’re looking for a Visual Journalist (I’m not sure if that’s posted yet). We also have Internships. For the first time we’ve started to accept some freelance visualization work too. When building a company it’s important to reflect on the way we use our time. Seth says the best teams do this by focusing on how they operate. As product creators, we have a lot of tools at our disposal. Tapping into raw human emotion is one of the most powerful of all. One of the emotions best used by games is aspiration. Aspiration is an emotion that can produce incredible results. James Bond is a character that’s many people aspire to be. In the recent 007 flick Skyfall, there’s a scene that features our british masculine ideal getting a close shave by a beautiful woman. This one scene has increased sales of straight razors by 4x. Nick Gibbens, The Shaving Shack’s Brand Director, believes Bond’s legendary style and iconic status have inspired men to try out a new method of wet shaving. “Bond fans have an emotional attachment to 007, they love his Aston Martin cars, Omega watches and dinner suits. So it comes as no surprise that they have jumped on his love for cut throat razors. At MinoMonsters, we use data every single day. We spend a lot of time looking at it and we believe it’s important. Today we will monitor and record over 10M points of data. But what are we doing with all that information? We’re building a mobile game, but we use data just like any mobile startup would. We use data to track the health of our business and we use it to inform certain decisions. Data helps us understand if we’re growing, it helps us debug product flows, and it helps us discover new opportunities for engagement and revenue. Just as important as the data itself, the cadence we use to look at the data is critical. We can’t look at everything, we simply don’t have the time or attention. We must be disciplined in how we look at data and ensure we’re using high-yield visualizations of our data. Patrick Wyatt, creator of the Guild Wars series and one of the original developers at Blizzard Entertainment, talks about the birth of the Warcraft franchise. Originally, they sought to license the Warhammer brand for use in the game. They decided against it. It’s surprising now to think what might have happened had Blizzard not controlled the intellectual property rights for the Warcraft universe — it’s highly unlikely Blizzard would be such a dominant player in the game industry today. Blizzard has made over 2 billion dollars on the Warcraft franchise from the games alone. That’s not including the card games, conferences, swag, virtual pets, or their upcoming feature film. Activision Blizzard is now worth over $13,000,000,000. 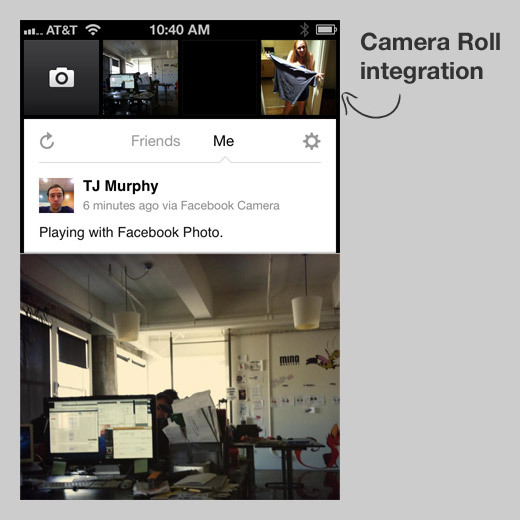 Facebook has just announced Camera, a standalone iOS app that’s been over a year in the making. This app execution is fantastic. 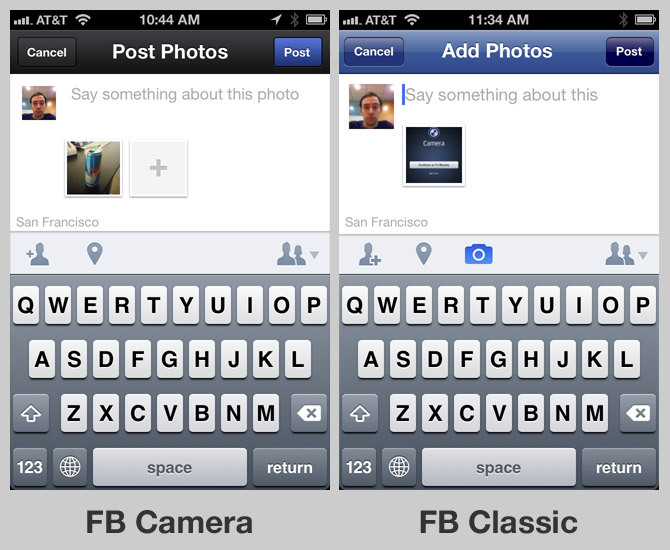 Compared to the classic Facebook app, Camera runs smoothly, loads fast, has intuitive use, and feels native. But why would Facebook release a separate camera app? Don’t they already own Instagram? The answer lies in Facebook’s secret sauce to engagement - photos. The entire engine of Facebook runs on users taking, tagging, liking, and commenting on photos. Without it, Facebook is nothing. And if you take a close look, you’ll see that the entire Camera app is designed to get you to post as many photos as possible. They have camera roll integration, allowing me to quickly pick a photo to upload. Their story post form includes an extra call to action to add more photos. 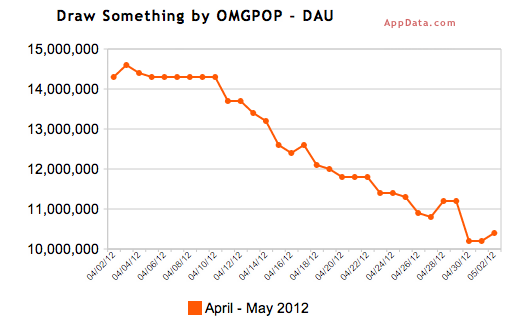 Now that the dust has settled on Zynga’s purchase of mobile game developer OMGPOP, the outlook isn’t quite as rosy as it was just a month ago. Most Zynga titles take months before hitting their peak and then slowly decline. Draw Something has lost about five million users in a single month just weeks after the acquisition. That’s bad news for Zynga. Zynga doesn’t simply dish out $180M for a team of 40 in New York. When they bought OMGPOP they expected their games to perform. Newtoy, the Texas-based mobile games developer, was acquired by Zynga for $50m. Their hit title Words With Friends has held in Top Grossing for over two years. Draw Something could be out in the next two months. Zynga beat earnings estimate for Q1 this year, largely due to the OMGPOP acquisition. 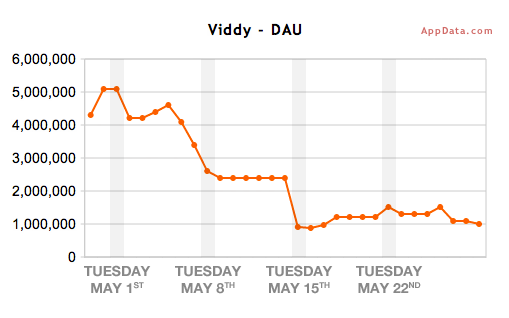 If the Draw Something studio can’t hold on to it’s DAU, Zynga could be hurting hard in Q2.